Holtz signed a contract with the Redskins on Saturday. Analysis: Holtz was with Washington during the preseason but fell victim to roster cutdowns at the start of September. 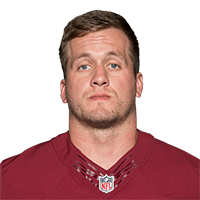 The 25-year-old provides additional depth at tight end with Vernon Davis (concussion) doubtful for Week 17 and Jordan Reed (foot) on injured reserve. There are no videos available for J.P. Holtz. Click here to view all videos.